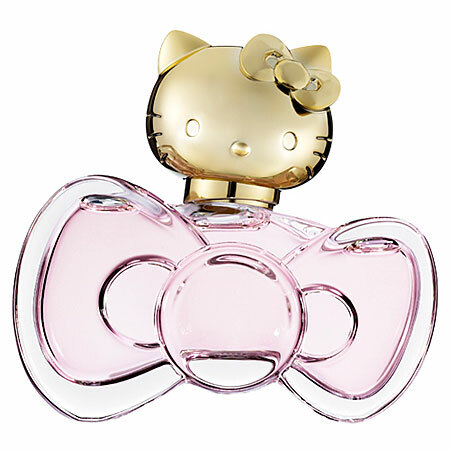 While Sephora and Hello Kitty aren’t strangers to teaming up, their new collections, which debuted at the beginning of May, were way too CUTE to pass up. Their summer collection consists of the Hello Kitty Pretty collection and the Hello Kitty Big Pink Bow fragrance collection. I headed to my local Sephora to check out the products in person. Featuring polka dots and metallics, the Hello Pretty collection sets the mood for summer. The first thing I wanted to check out was the two tiered eye shadow palette. While not heavily pigmented, the colors blended well and complimented each other quite nicely. Offering both bright colors and neutral shades, it’s possible to come up with a fun day look or a sultry night look with the same palette. I especially liked matte chocolate brown. The second product I was really interested in was the Retractable Kabuki brush. 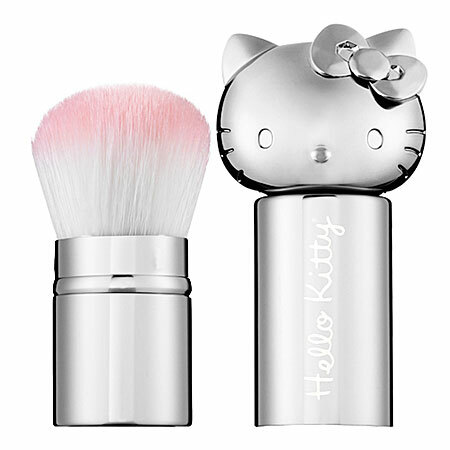 Not only is it housed in an adorable Hello Kitty shaped container, but the brush was extremely soft and would work perfectly when applying the Bronzer from the same collection. 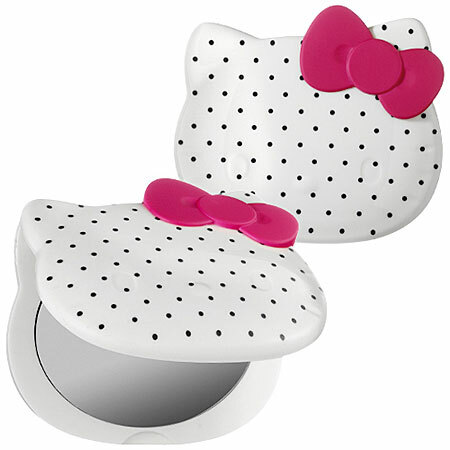 Lastly, these polka dot compact mirrors would be a great compliment to any makeup kit with a regular mirror on one side and a 3x magnification mirror on the other side. 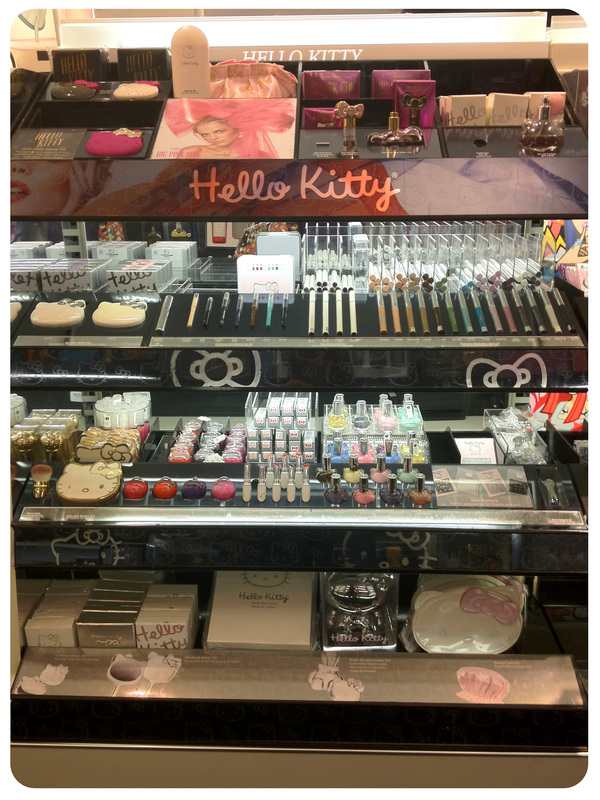 If you’re looking for products beyond this collection, Sephora has even more Hello Kitty goodness including these sets of khol eyeliners, sheer lipglosses, or even some fun nail polishes. It comes in three forms, the regular spray, the roll-on stick, and this ADORABLE perfume to go ring. Personally, I love the size and price of the roll-on stick as it allows me to get even more of their scents, including my favorite, their signature Hello Kitty fragrance. 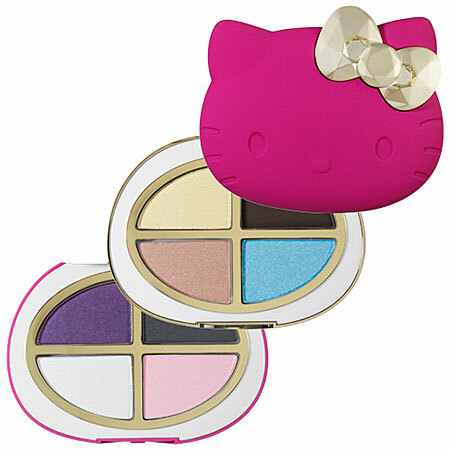 Have any of you tried any products in the Hello Kitty line? What’s your favorite new product? I have to say, my absolute favorite part about their line is that it’s entirely cruelty free! Geek Chic Finds of the Week!